Last night's rest area was close to the main highway so rather a lot of traffic noise overnight. We drove the short distance into Canberra. In 1901 when the colonies United and became known as the Commonwealth of Australia, a capital city had to be chosen. Both Sydney and Melbourne vied for the honour, but rather than choose between the two, a decision was reached to establish a new city. 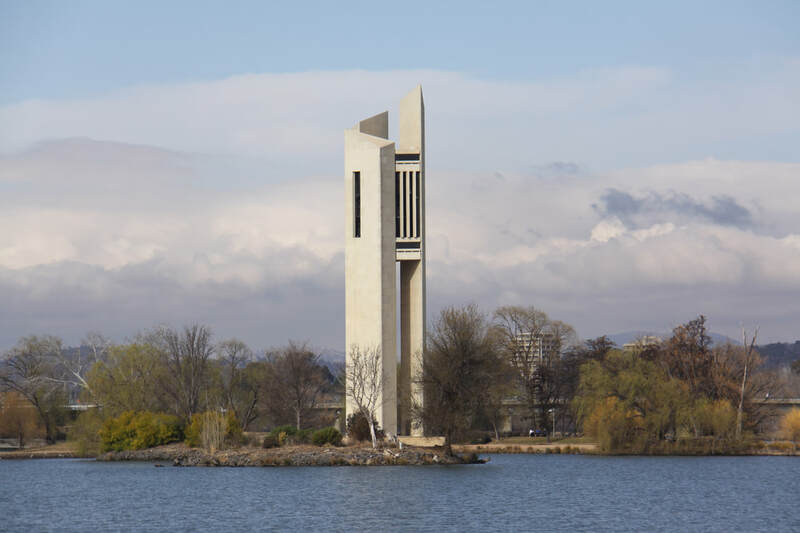 Canberra, meaning "The Meeting Place" in the local Aboriginal language was chosen as the name of the capital and the surrounding area was named Australian Capital Territory. In 1912 an American architect won the competition to design the city. However, despite building starting in 1913, it wasn't until the late 1950s that the city really began to take its present shape. 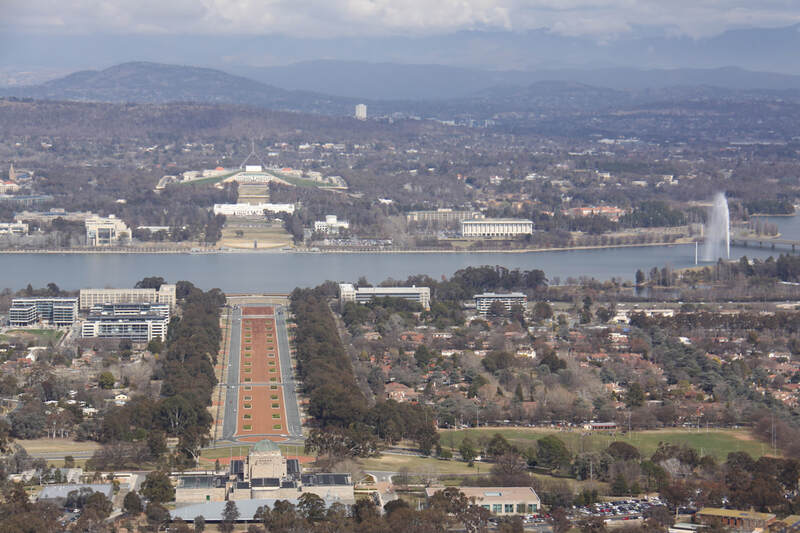 We found it relatively easy to navigate our way around the five main centres which radiate out from Capital Hill where the Australian Parliament is located. As the city was planned from scratch, each diplomatic area was given a plot and asked to design a building that exemplified that country. The result is some stunning examples of architecture. 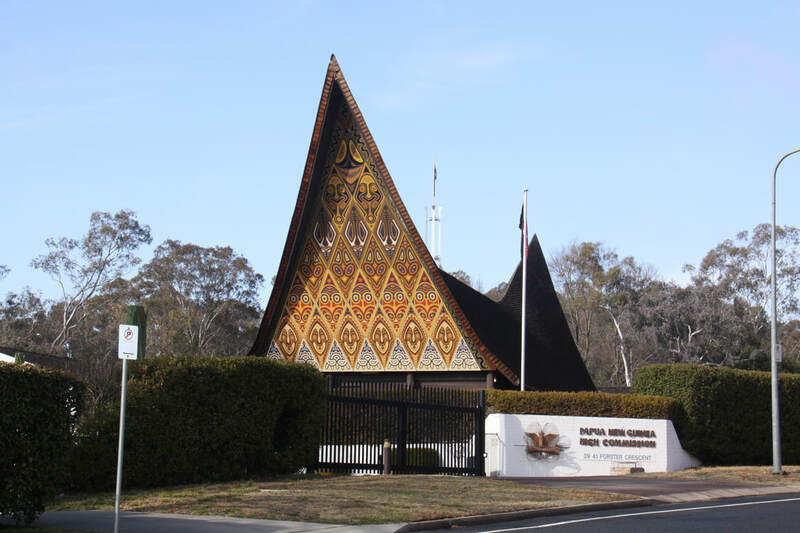 The Papua New Guinea embassy along with a few others were particularly fascinating. We drove up to the top of Mount Ainslie for incredible views over the city. The artificially created Lake Burly Griffin with its Captain Cook Memorial Jet which was installed in 1970 to celebrate the bicentennial is the heart of the green space. 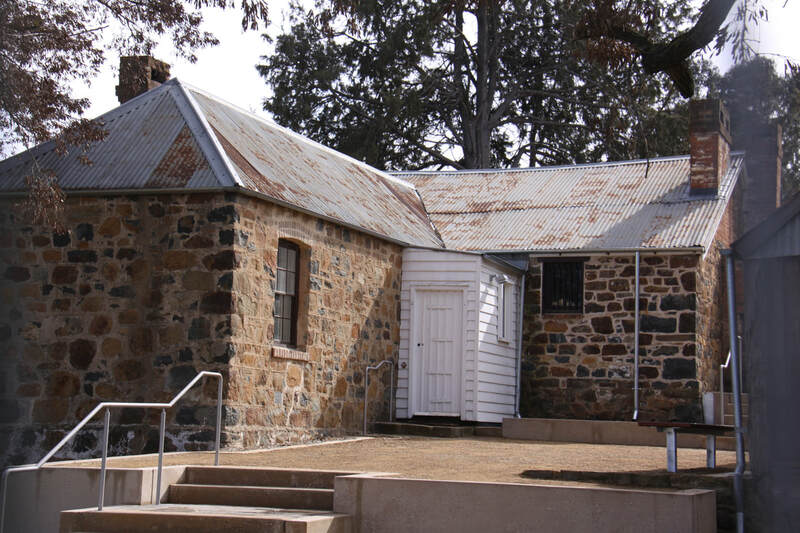 Today the carillon was also playing but unfortunately Blundel's cottage, the only original homestead left in the capital, was closed for refurbishment. We spent the afternoon exploring the Anzac Parade with its many memorials and the Australian War Memorial. 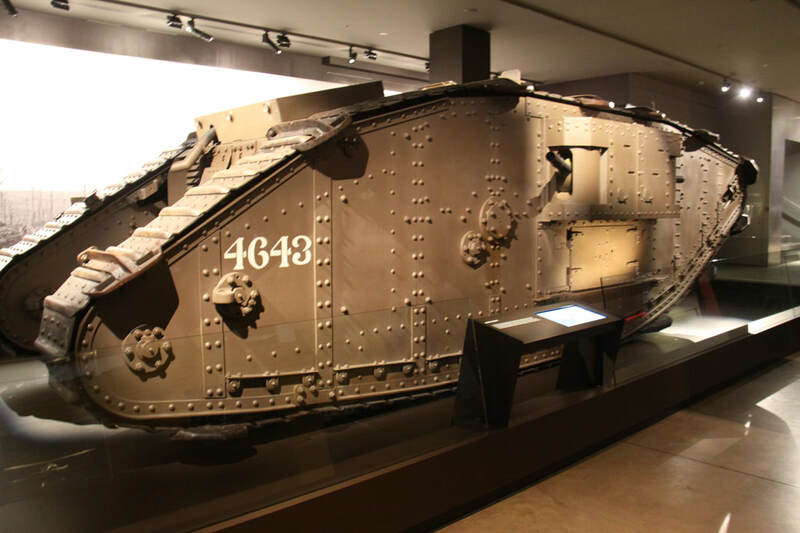 Here displays, light and sound shows and dioramas of battle scenes brought home the true sacrifice of war. 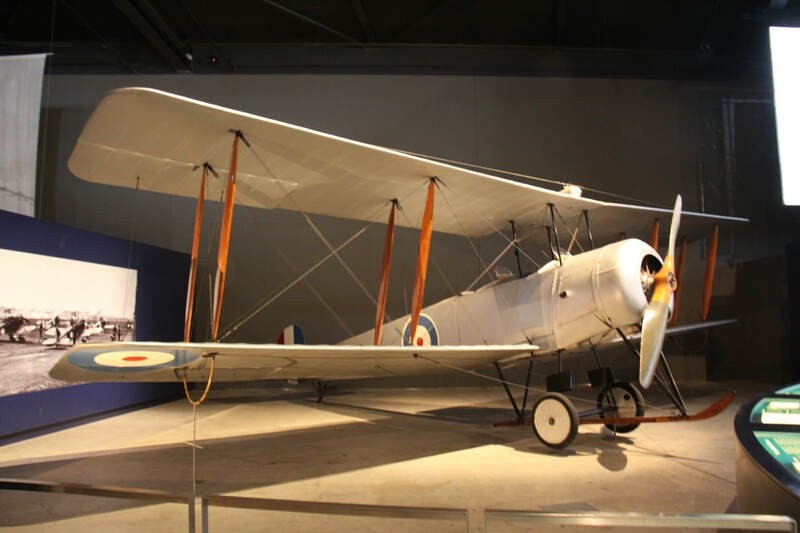 Actual aircraft were suspended from the ceiling, a Japanese mini-submarine and a World War One tank were also on display. A very moving visit. We returned to the Hughie Edwards VC rest area for the night. We left Canberra this morning after having shopped for provisions and having had a wander around followed by lunch in IKEA. As we headed south towards the Snowy Mountains, the scenery became more rolling hills but everywhere was still very parched. Parts of New South Wales have been on high fire alert due to the ongoing severe drought. We are close to the national park so stopped at Cooma for the night. There is a daily vehicle charge once we enter the park. It seemed unnecessary to pay for today when we could stop short and enter the park tomorrow morning.